I had the magnificent privilege to stare at the moon on a deeply dark night. I went initially to see the milky way since the observatory is located on a Dark Sky reserve. A Dark Sky reserve is a an area which guaranties low illumination at nigh allowing for high quality star gazing at night. Unfortunately the Moon out shined many starts and reduced star gazing conditions. Although I did’t have great conditions the moon was positioned just right for some good Moon photos. I normally focus my attention to more standard questions “will the bridge withstand the train?” or “what is the temperature in my room if i turn on the heater” or even “will this shape have good aerodynamics?”. But do we often ask our serves “will light reflect?”, “How does light reflect?”. (Maybe optics specialists look at this) Simulating light. I know this subject isn’t new. What is this nowadays? Still this affects our glasses, telescopes, data connections through finer optics. Since I know little about this subject, I will investigate deeper what is out there regarding simulating light. 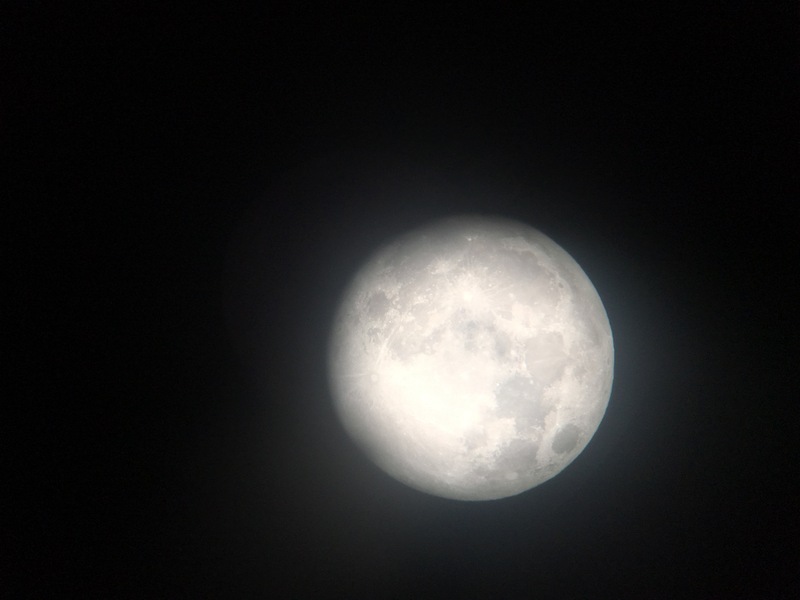 The Moon at a Dark Sky reserve taken from a telescope in combination with an iPhone..